Our tastefully decorated and furnished villa has 4 Bedrooms, 3 Bathrooms and 2 living areas and the home is fully equipped and baby friendly. There are flat screen TV’s in all bedrooms. A heated pool over looks a grass area to complete the perfect villa. The resort offers many facilities from a Tikki Bar, tennis and volleyball courts and a communal pool and hot tub. The safe and secure gated community gives you peace of mind and a place to relax when you want to have a break from the busy theme parks. Emerald Island resort is the ideal place for a great family holiday. We love Florida. It offers visitors such a diverse holiday with a great choice of things to do. A gated community offering guests a great holiday location coupled with being so close to Disney. GREAT house ,location , vacation . Just wanted to let you know we had a lovely time and enjoyed your home very much. Unfortunately the weather did now allow us to use the lovely pool area. The home was very clean and fully functional. The location was great - close to the parks, shopping and restaurants. Emerald Island is a lovely community and we were very impressed. Would definitely love to stay at your home again. And just to add, you were both wonderful to deal with. The communication was great and you made it so easy. The winding, palm-lined road that leads you to Emerald Island Resort is stunning as you approach the dolphin fountain. This gated community is surrounded by a conservation Area and encompasses over 300 acres with 11 wooded acres right in the middle of the community. The Emerald Island Clubhouse is a vibrant centre of activity for the community. You, your family and guests may enjoy a friendly game of volleyball or a relaxing afternoon at the communal pool/spa. There is also a children’s play area adjacent to the Clubhouse. Nearby there is a trail for walking, jogging or biking that winds through the community’s natural woodland setting. The Clubhouse has something for everyone including a Gym, spa pool, sauna/steam room; an Internet café and a games room for the kids. There is also a poolside Tikki bar. The Emerald Island Clubhouse can assist you with dinner reservations, tourist information and transportation. There are many golf clubs in the surrounding area for those of you who enjoy this activity. Our villa is only 2 miles from Walt Disney World off HWY 192, and a short drive to shopping and a good variety of restaurants. A prime location that gives you peaceful surroundings for relaxing or easy access to all the main tourist attractions. Central Florida has it all – in addition to the Disney Resorts, within an hour East of central Florida are Cape Canaveral, Daytona Beach Motor Speedway and the dramatic Atlantic beaches. An hour and a half to the West are the beautiful shores of the Gulf Coast. 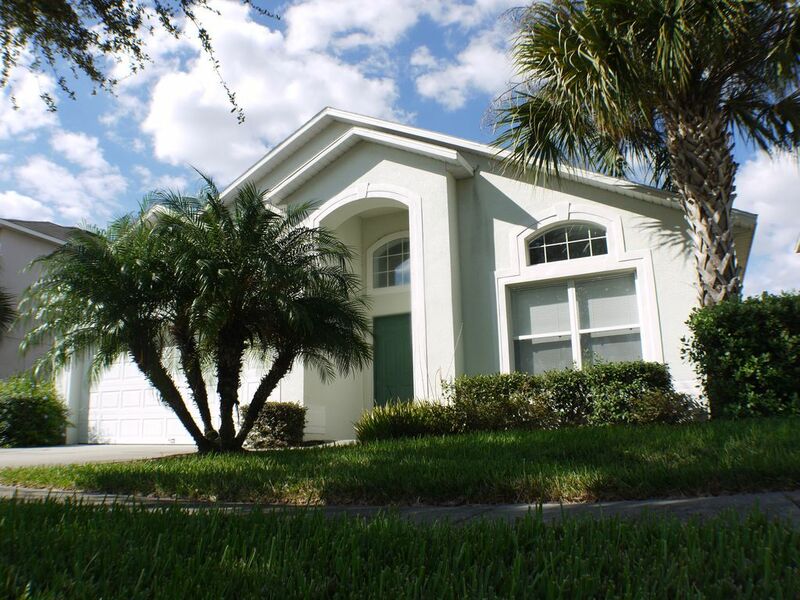 The villa is only 20 minutes from Orlando International Airport and a very easy 1 hour drive from Sanford Airport.